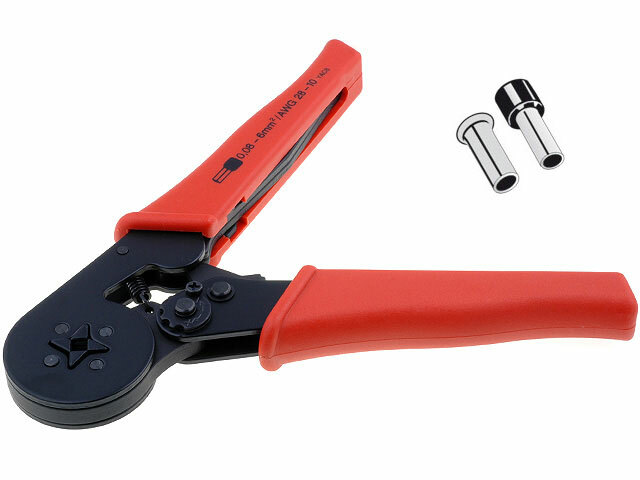 A tool for clamping non-insulated and insulated sleeve terminals on conduits with intersection from 0,08 to 6 mm2. self-adjusting mechanism adjusts the shape of the matrix to the size of the clamped terminal. special mechanism of the head symmetrically clamps the matrix on the terminal. blackened metal elements of the tool.